1. Can we apply to the second call although we apply for the first one? Yes, you can submit your proposal for the second call even if you applied for the first one. Read carefully the Guidelines and the Application Form to ensure that your project complies with all the Eligibility Conditions before preparing your proposal. 2. Can we apply again to the second call with the same project that we applied with to the first call, after reviewing and re-editing it? Yes, you can apply again to the second call with the same project you proposed to the first call. However, please read carefully the second call’s guidelines because some points have changed or added. 3. Are universities eligible for this call? Yes, universities can apply to the call; however, please be sure to comply with all the eligible criteria set out. 4. Is it possible to have co-applicants that come from other countries in Africa, outside the Mediterranean region? As specified in Guidelines published on the web site of the project, (1.1 Eligibility of the applicants), all the applicants, both the main applicant and the co-applicants, must be established in one or several of seven target countries (Algeria, Egypt, Jordan, Lebanon, Morocco, Palestine and Tunisia). As a consequence, African partners who are not established in one of these countries will not be eligible for the grant. 5. The main applicant organisation in my project isn’t registered in one of the eligible countries, can we still apply? The SouthMed WiA beneficiary countries are Algeria, Egypt, Jordan, Lebanon, Morocco, Palestine and Tunisia; consequently, applications to the SoutMed WiA call for funding can be submitted only by organisations established and duly registered in one of the beneficiary countries. No exceptions to this rule can be made. 6. Under eligibility criteria it is stated « Applicants must be established in the seven targeted countries. » Does this apply to the co-applicants as well? Yes, both the lead applicant and the co-applicant(s) shall be established in the seven targeted countries. 7. Are individuals eligible for the grants? No, individuals cannot apply for the grants. Applications can only be submitted by a partnership of minimum 2 organizations established in the 7 targeted countries. Please check the Eligibility Conditions specified in the guidelines of the call, section 1.1 “Eligibility of the applicants”. 8. Is it possible to apply to the call as an economic actor in the audiovisual sector? Yes, it is possible as far as the film or audiovisual sector represents your professional core activity and as long as under this grant you do not generate profit. Please check the guidelines of the call on our website, where the conditions of eligibility for applicants are specified. 9. I work for an NGO whose focus is Human Rights; are we considered eligible to apply or is the call only restricted to those entities working in the film or audiovisual sector as their professional core activity? Your organization can participate and be eligible as far as it complies with the eligibility criteria and contributes to meet the objectives of the call. 10. I work for an NGO whose focus is Human Rights; are we considered eligible to apply or is the call only restricted to those entities working in the film or audiovisual sector as their professional core activity? 12. What is the amount of the grant provided by SouthMed WiA in this call? The grants that SouthMed WiA will award under this call for proposal fall between minimum EUR 80 000 and maximum EUR 100 000. This amount will have to represent maximum 80% of the total costs of your project. A cofinancing – from other sources than SouthMed WiA – of minimum 20% of the total costs of your project – will have to be included in the budget presented with your proposal. This means that the grant you are asking for in your budget cannot be less than EUR 80 000 and has to be maximum EUR 100 000. 13. Do you provide a budget template? 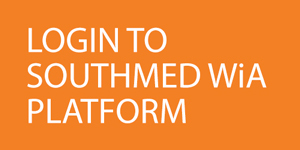 Yes, SouthMed WiA provides a budget template. The use of this template is mandatory and, once completed, it must be uploaded in the budget section of the online application form. To download the budget template, please enter the SouthMed WiA webpage, under the “Apply” menu, enter the First call “Presentation” page. On the right of the page under “USEFUL LINKS AND ATTACHMENTS”, you will find the budget template here. You can also download it from the document “Second Call Application Form in English PDF” which you can find in the USEFUL LINKS AND ATTACHMENTS section here. When applying to the call you will have to upload your project budget in the budget section of the online application form here. 9. Is the web site available in Arabic? Yes, our website is available in three languages: English, French and Arabic. However, the applications can only be submitted in English. 10. Is it possible to submit the Application in Arabic? Unfortunately it is not possible. Applications can only be submitted online and in English. 17. How can I apply for the grant? In order to apply, we invite you to visit our official website here, where you will find all the information you need to know about the project and how to apply for the grant. We invite you to carefully read the Guidelines and the Application Form documents to ensure that your project complies with all the Eligibility Conditions mentioned in the call before preparing your proposal. You also have to download and use the budget template provided by SmedWiA (see question 8 in the “Financial Provision” section). Once you will be ready to apply, you will have to submit your application online and in English before the 15th September at 21.00 p.m. GMT. 18. Where can I find the application form? Go on our website here, and then under the “Apply” menu, enter the First call “Presentation” page. On the right of the page, under “USEFUL LINK AND ATTACHMENTS”, you will be able to download the English PDF of the Application Form. However, to submit it, you will have to go to the Application Form page and fill in it online. 19. Can an organization submit more than one proposal for funding? No. As specified in the call, applicants cannot submit more than one application. « lot » is best suited for us. Perhaps you could tell us? Unfortunately we cannot indicate you to which lot you could apply as this depends on your project idea and on the capacities of the consortium that will present the proposal. We invite you to carefully read the Guidelines of the call for proposals to identify the lot that best matches the purpose of your project and remind you that the ultimate goal of the call is to promote women participation to the audiovisual sector in the target countries and to raise awareness on gender discrimination and stereotypes by using audiovisual products and within the sector. 21. Concerning the three Lots « Research”, “Training”, and “Awareness Raising and Advocacy », is it possible to propose a project that would be primarily training focused but include elements of advocacy as well? Yes, your project can involve elements of more than one lot, but remember that, when submitting the proposal, you have to choose only one lot and the core activity of your project has to be in line with the lot you have applied to. 22. We are currently working on the realization of a movie concerning women and gender equality issues; can we participate to the call? As you can read in the Guidelines, production or co-production of films is not an eligible activity of the call and therefore the realization of a movie will be not supported. 23. I am currently working on a research paper whose topic meets the focus and purpose of the SouthMed WiA project. Can I apply for the grant? Individuals are not eligible to apply to this call for proposals, as specified in the Guidelines; so in order to apply to the call you should look for eligible entities that are interested in your research paper and would submit it as project proposal. For example, if you are carrying out your research in the framework of collaboration with a research institute or audio-visual school you could ask them to team up with another eligible entity and apply together to the call. Please check the guidelines of the call on our website here, where the conditions of eligibility for applicants are specified. 24. Does the action have to take place in all seven eligible countries? Or may actions take place only in one country? The activities of your project proposal can take place only in one of the seven targeted countries. 25. Can the lead applicant apply in a consortium with more than one co-applicant and can these partners be established in the same country? Yes, the lead applicant can apply with more than one co-applicant and they can all be established in the same country among the seven targeted ones. However, the South Med WiA project has a regional scope, therefore as specified in the guidelines, the call gives priority to the regional dimension of the submitted proposals. 26. What do you mean by “The selection will take into account the regional dimension of the project by ensuring as wide geographical coverage as possible” under the priory issues of the eligibility requirements? The South Med WiA project has a regional scope; therefore one of the call priorities is to support projects that are executed in all the seven target countries. As specified in the guidelines, applications involving organizations from only one country are eligible, but the selection will ensure a wide geographical coverage of the region. This will be done for example by giving priority to the applications involving at least two partners established in two different countries among the seven targeted countries.